Simufact Engineering and their project partners EDAG Engineering and voestalpine Additive Manufacturing Center achieved the second place ("highly commended") with the LightHinge+ project at the TCT awards in the category "Automotive Application Award" in Birmingham. Simufact Engineering has received the Gold German Stevie Award in the category "Best New Product or Service Software - Other" for its simulation solution Simufact Additive. The German Stevie Awards are one of the most renowned business awards in Germany. MSC Apex Fossa has won the prestigious Golden Mousetrap Award. e-Xstream engineering, an MSC Software Company and co-winners Solvay Engineering Plastics and Solvay Specialty Polymers have been recognized with a JEC Innovation Award for launching Digimat Additive Manufacturing. 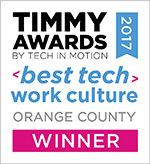 Digimat, the multi-scale material modeling platform, was recognized as the recipient for the R&D 100 Award. e-Xstream engineering developed Digimat Virtual Allowable ("VA"), - provides users with an embedded vertical solution specifically tailored for aerospace and automotive composites structures. MSC Apex won the R&D 100 Award. This accolade demonstrates MSC's commitment to developing innovative engineering simulation software to help manufacturers advance their product designs with higher confidence and at less cost. The JEC Group awarded Digimat-VA with its JEC Americas Innovation Award. 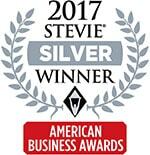 MSC Apex was named the winner of a Silver Stevie® Award in the 'Best New Product of the Year' Software Category by The International Business Awards. 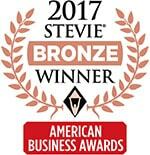 MSC Apex was named the winner of a Bronze Stevie® Award in the 'Best New Product of the Year' Software Category by The American Business Awards. MSC Software's Apex CAE platform has been named NASA Tech Briefs Readers' Choice Product of the Year. The JEC Group awarded Digimat with its JEC Americas Innovation Award at its recent event in Boston. The judges based their decision on Digimat's ability to provide engineers and designers with advanced, accurate descriptions of local composite behavior. Adams-FMI Earned Honorable Mention Recognition from Control Engineering in software – Control Design category.